Unique on-site service program means that your Enduro Vacuum never leaves your pool deck. The powerful Enduro vacuum pump reliably performs for thousands of hours and can be replaced in seconds if needed. Unlike every other "plastic" cleaner on the market, the Enduro is built on a sturdy SS frame complete with a 7-Year structural warranty. The Enduro "Extra" filter provide a flexible solution. Some place a coarse filter under the hood and a larger filter on the pump discharge. New Industry research indicates that secondary pool filtration, like the Enduro, significantly reduces biofilm, and chlorine consumption. A powerful dedicated suction pump provides all the power you need, and considerably more suction power than all other robotic vacuums. You can select from 5 different cleaning levels based on your pool situation. The Enduro never leaves your pool deck. Your local service center can provide all the routine maintenance (belts, tracks, brushes, etc. ), all customizations, and major repairs and replacement ON YOUR SITE. You don't lose the use of your vacuum for weeks or months. While you can place the Enduro in a pool, press "Start" and it is better than any cleaner we have ever used, there's much more to it. Depending on the pool, our team will custom program up to 100 different settings to clean better, faster, and avoid obstructions in the pool or water park. 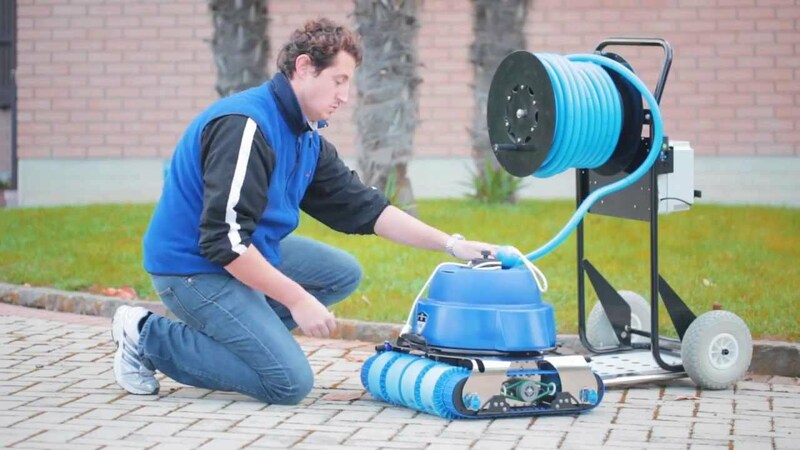 The Enduro-TurboClean carries the best warranty in the Robotic Cleaner industry. It includes many components not covered by other vacuums, and it all starts with a solid SS frame. The modular design and quality components make it easy to service and use. Every component in the Enduro has been designed and tested to provide long-term performance. It consists of heavy duty marine stainless steel frame and molded polyethylene with a minimum of fasteners. There are no cheap plastic or flimsy components or underwater electrical connectors. Some confuse the need to have a clean pool, with how to pay for it. The popular "No Worries" plan provides a long term solution to pool cleaning. For one low monthly cost, you receive a reliable cleaner, periodic proactive service, and all on-site service and repairs. Powerful, Reliable Robotic Vacuums, Maintained On Your Site!